hd00:25Ice Snow Polar Rocky Mountains. The shot captures various angles of a rocky mountain peak at high altitudes. 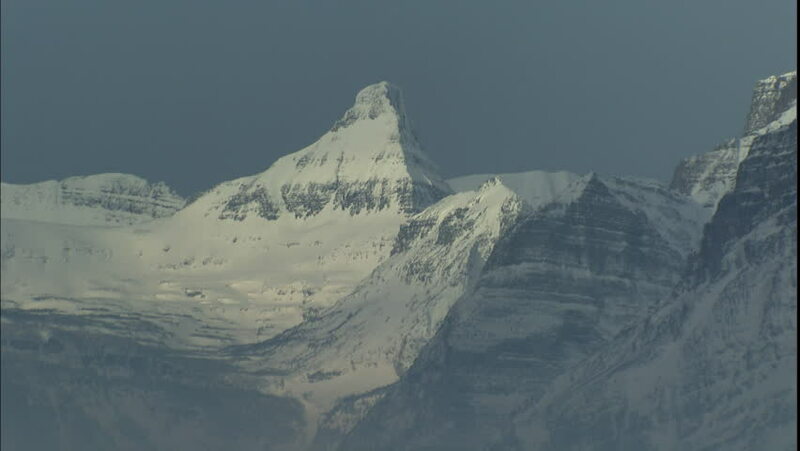 The towering peak stands alone blanketed in snow. hd00:07A small fishing/power boat zooms out the bay with snow-gilded mountains beyond.